We are all, whether professionals, students, or hobbyists, consumed by the busy hustle and bustle of our lives as flutists. We spend countless hours in the practice room at school, preparing for that next lesson, attending ensemble rehearsals, or polishing the audition for the next school or prospective job. Or we’re trying to fit in as many minutes of meaningful playing as possible while juggling an outside study of choice, work, and other obligations. When we’re not doing that, we’re preparing for and playing in masterclasses, attending conferences, performing concerts, teaching lessons, or trying to balance our busy schedules with the playing we do for fun. We don’t have time for injury or illness. But what happens when we do get sick or hurt, and we have no choice but to deal with it? Well, I had to figure that out. And this article will give you 4 easy tips to help prevent or manage illness and injury as a flutist should you face them yourself! My journey with illness and injury started in 2014. I had recently finished school and was working in Arizona as a professional flutist and private teacher. I was becoming established and enjoying a full, enriching playing schedule. I then successfully auditioned as a flutist in the Army, and after training and a move to my first assignment, I was thrilled to have started an exciting new career. Then things changed. In the fall of 2015, I began having lower abdominal pain, what I thought were regular infections, and runner’s injuries. I drank cranberry juice, took my antibiotics, went to physical therapy, and thought nothing of it. But the episodes didn’t stop. My physical therapist, realizing everything was connected, sent me to a specialist. Within 5 minutes, I was diagnosed with a somewhat unknown chronic disease; Interstitial Cystitis. I underwent surgery for final diagnosis and began treatment. But months later, I was still struggling, and there was another whammy waiting in the wings. A second surgery confirmed the IC was severe and I had Endometriosis. After 6 weeks of recovery (sadly away from my flute), the lifestyle changes set in. Along with a drastic new diet, I had to get used to slowing down, altering my activities, and navigating new limitations. I got back into practicing regularly and enjoying a busy playing schedule again. Yet, in my haste to return to the level of playing I had prior to my break away from the flute, I had developed poor habits and failed to correct them. Although I knew what steps to take, the mounting pressure of my work demands kept me from taking them. By the time I took the time to address the issues in my playing, I had developed tendonitis in both my arms. The only answer to my new problem was to step away (again) from playing for another 6 weeks to allow physical therapy, rest, and a regroup to do their magic! In that time, I revisited the reading, advice, and trial and error I’d been working with for years in my own playing, and even added to it. I pieced things together, and developed a plan that worked for me. Soon enough, I was able to return to the flute, tendonitis pain free, and with a new appreciation for the importance of following through. Not every flute player will have the same story I have, but most flutists will, at some point, experience some sort of illness and injury in their lives. The following are my 4 favorite tips for living with and preventing illness/injury at all levels of flute playing. When playing with illness or injury, it’s important to be strategic and maximize your practice time. Be innovative, sit down by yourself or with an instructor, and put together a practice plan to accommodate your physical needs. For example simple repetition of passages can do more harm than good, and depending on your injury, some passages should be avoided completely. If your doctor has told you to take some time away from your instrument, you can stay engaged through score study, working through passages in your mind, or working on honing other valuable skills. And if you’re ill, pushing too hard in the practice room can make the road to recovery much longer. If you are going to continue practicing, modify! Brain studies have shown that the mind can only actively absorb information for 20 minutes at a time. While in the practice room, set your phone or stopwatch to 20 minutes (if you’re having pain before this or feeling fatigued, do not hesitate to stop before!). Then, take a break for 5-10 minutes. Find what works for you to maximize this time. Resist the urge to get on your phone, however! Not only does it not use this time wisely, but it can actually increase tension in the wrists and arms (or any other place you may hold tension) and increase the likelihood of creating or worsening an injury! During this time, I typically use the restroom (a necessity), stretch my arms, wrists, and hands, and work on relaxed breathing exercises to release tension common to flute players. If you don’t know the root cause of your health issue, find out. And once you do, learn the steps to treat it, manage it, or prevent it. Whether a permanent condition, or temporary pain, take the time to be aware of your body while practicing. Maintain good posture and correct weight distribution when standing. While sitting, keep your back straight and avoid contorting your posture in tight ensemble spaces; be attentive to anything that causes you discomfort. Have a teacher or colleague watch you play (or even film yourself) to help discover issues in your playing that may be causing your pain. Listen to the tips they have to offer for ways to correct these issues and do your own research as well; there are plenty of resources out there, and it may save you in the long run! If you’re simply unable to play without pain, stop and come back to it later. Regardless of what you’ve been told, there’s nothing worse than “playing through the pain.” You may not feel the effects right away, but in time, if you continue to play while in pain, your injury will get worse and your body will not be able to cope with being sick the way it should. It is important, both with injury and illness, to avoid worsening a problem that could potentially take the flute out of your hands forever. Knowing your body and taking action based on the signals it gives you are the biggest steps you can take! Now, I’m not saying to WebMD yourself into a panic attack here! But a lot can be said for getting to know exactly what you’re up against. This process can be daunting, as there is a ton of information out there, and much of it is either inaccurate or a scam. When I was first diagnosed with IC, and even with my tendonitis, I was on the internet for hours searching for valuable sources of comfort, solutions, and quite simply any morsel of cold hard facts I could find. There are thousands of resources via internet, video, and classes you may find helpful. I was lucky enough to find an online forum for people living with my illness. Additionally, I found some useful physical therapy websites that offered at-home exercises where I found all three. But believe me, it took sifting through plenty of garbage to get there. So how do you know what’s worth a read and what you should skip past? So get to Googling, watch YouTube, go to a class, or just call a fellow musician. And always remember, not one of these can take the place of medical expertise. Go see your doctor! This one is most likely the hardest of them all! But, to me, it’s the most important. It can be incredibly stressful juggling life, work, and a practice routine, without the added layer of health problems. Be patient with yourself! Whether you’re suffering illness or an injury, there is a process to healing/management that is imperative, and allowing yourself to take a step back and truly follow through can be difficult. The demands of life will not disappear, but you can put mechanisms in place to give yourself the best chances of healing anyway. Again, taking regular breaks during practice sessions is a must. I also recommend taking at least a few minutes every day to detox. Go somewhere quiet where you won’t be disturbed and focus on your breathing and allow your body to completely relax. If you enjoy meditation or yoga, that’s a great outlet as well. And of course, make the time to do something you enjoy! Whether it’s hiking, sewing, reading a book or travel, allowing time to have fun can be healing to body and soul. Whatever it may be for you, give yourself the time and opportunity to do it. You’ll be surprised how much good it can do; it may even open a whole new world of possibility for your flute playing. As we discussed above, whether you suffer from injury-related pain or you are living with illness, the impulse to continue playing will be hard to resist. While stopping your playing may not be necessary, using the above tips can help you recognize when you should, and help you to survive the time away from the flute. Ideally, healthy practices will keep you from needing these tips at all. With help from your mentors, peers, and simply paying close attention to yourself, having a fulfilling and more pain-free flute career is possible! Katherine is an active performer and teacher throughout the United States. 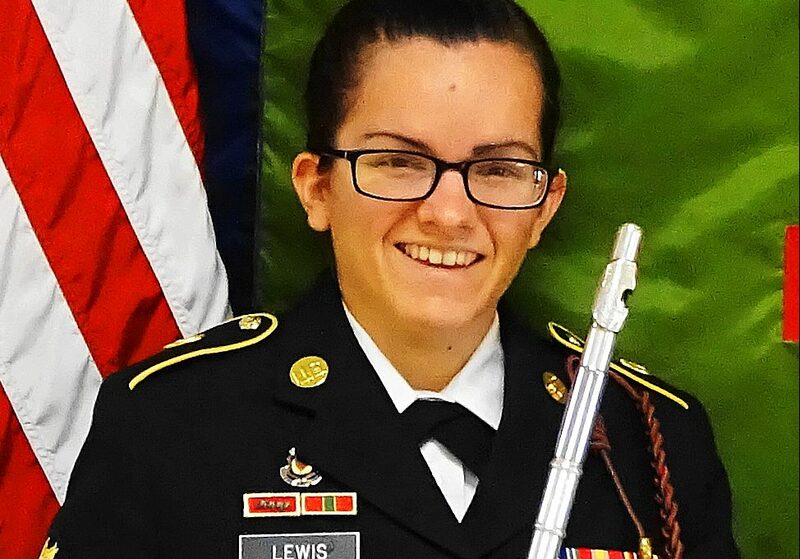 Currently, Katherine serves in the United States Army, where she is solo piccolo and principal flutist. 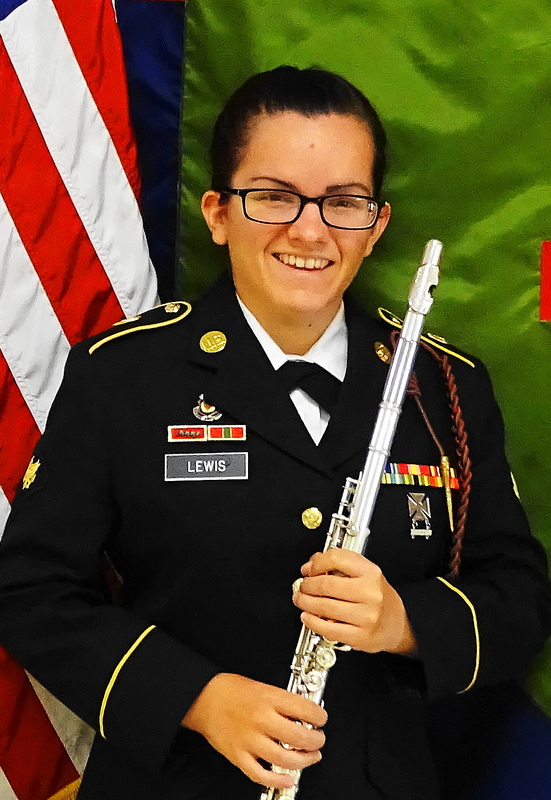 Additionally, she is the music director for the Prairie Winds, the resident woodwind quintet of the 1st Infantry Division Band. Away from her performance demands in the Army, Katherine is principal flutist for the Heartland Opera Company and serves as a substitute flutist for the Tulsa Symphony, Chandler Symphony, and Scottsdale Symphony, and has appeared as a guest artist with the Ozark Festival Orchestra. A versatile soloist and orchestral musician, Katherine has performed in numerous competitions and masterclasses. In 2009 she won the Little Rock Coterie Competition and was a finalist in the 2010 Delta Symphony Orchestra Concerto Competition. That same year, Katherine won the Arkansas Tech Concerto Competition and was invited as a guest soloist to play Griffes’ Poem with the Arkansas Tech Symphonic Winds. She has performed in masterclasses with Viviana Cumplido Wilson, Christina Smith, Jeniffer Nitchman, and Don Bailey. Having also found a passion in Arts Administration, Katherine has been invited to support music festivals, venues, and organizations across the United States, including the Lake George Music Festival and the renowned Kauffman Center. Most recently, she was named Membership Chair for the Arizona Flute Society. Locally, Katherine enjoys an active private flute studio. She is a member of NFA, the Arizona Flute Society, the Flute Society of Washington, the Flute New Music Consortium, MTNA, and SAI music service fraternity. Katherine earned her B.A. from Arkansas Tech University and is currently an M.A. candidate at Colorado State University. Thank you for this. Good read as I recover from cholecistectomy .